Lighting your home can account for a large percentage of your overall household energy bill but by switching over to energy saving bulbs and going the solar route for your outdoor lighting this cost can be very easily marginalised. Below we look at some of the top energy saving lighting products which can help you to save money on your energy bills. At Purchase.ie we do a wide range of bulbs in this area from Lumilife who offer a no quibble replacement policy in the unlikely event of bulb failure. Each of the 8 different bulbs are available in two colours warm white (typically for home use) and cool white (for commercial and bathroom use typically). Whilst the initial outlay is quite a bit more expensive than paying for a standard bulb the Lumilife range can achieve energy saving of up to 83% and thus a return on investment can be achieved very quickly. The Biobulb produces a lighting experience very similar to natural daylight. It is not as harsh as normal bulbs and the light never flickers. 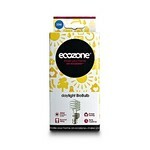 Ideal for basement areas or any room that struggles to get daylight. Can help create a positive mental attitude especially during the daily grind of long dark winter months. There is four different types of biobulbs. 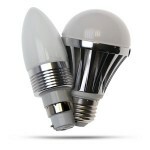 The 20W Bayonet Bulb has the lighting output of a 60W bulb. The 25W Bayonet and Screw in Bulb an output of 100W and the 30W Bayonet Bulb an output of a whopping 150W which means it is five times cheaper to run than the light output would suggest. Whilst nightlights are typically not the biggest users of electricity they do tend to be on very many hours every day and you could achieve significant saving by switching over to a Moonlight Night Light. Designed using the same technology that NASA use for cockpit lighting on spaceships this slim line plug in light produces a wonderful glow effect and costs less than 1 cent per day to run even if plugged in for 24 hours. Particularly useful for those scared of the dark and those that like to nod off at night with the lights on. The Light Timer can be programmed to stay on for anything between 5 minutes and one hour. It even makes a gentle alert noise to warn you time is running out. It comes with adapter so it can work in both screw in and bayonet fittings. 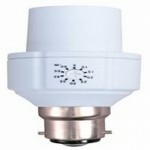 With indoor energy saving lighting solutions covered let’s look at some outdoor solutions. If running an outdoor security it really makes sense to go with a solar solution. 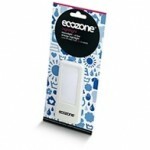 After the initial outlay on the product there is no further costs associated with it as it won’t eat into your pocket like mains connected security lights. Choose between the PIR Sensor Solar Security Light which only switches on when it detects a passer-by or the Remote Control Solar Security Light which can be left to run in the “on” mode all night long. When it comes to outdoor decorative lighting for Christmas and other occasions using a mains operated system can be something that you regret when the next energy bill arrives. Like the solar security lights the Solar Fairy Lights will add nothing to your energy bill after the initial outlay of ordering them. 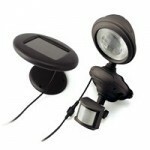 Available in 10 meter sets with 100 LED Bulbs and 28 meter sets with 280 LED Bulbs. 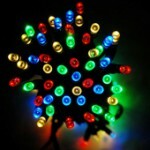 The Solar Fairy lights come in three colours All White, All Blue and Multi-Coloured lights. Maybe Im barking up the wrong tree here but lighting is a big issue with me, to narrow it down to light polution. I am an amateur backyard astronomer and light polution just kills the trill of going outside to look at the stars. I am also big into low energy lighting and someday I will get solar energy in my house. Although street lights are important for the peoples safety I really dont think that they need to be so tall. 5 feet could be taken off the posts no problem, money saver straight away. Wouldnt it be great if street lights had sensors on them that activated the lights when a car or person approched it. Yes I love Astronomy and I can safely say that more people would like it if the streets where darker. I have energy saving bulbs all over my house and at this stage I wouldn buy anything else. I agree with Joey, but I think if we could distribute the light from the footpaths ( like Michael Jackson did in his song/video THRILLER, we need street light at all, as you on them they light up. Timmy, I think you mean Billy Jean and not Thriller. They don’t make music video like they used to!